Read any of the current X-Men books right now and you’ll notice a key member of the X-Men missing-in-action; Cyclops. The dude has been dead when these books began but nobody can really tell us what happened. Good thing Marvel has finally shared more info about their next mini-series, Death of X. 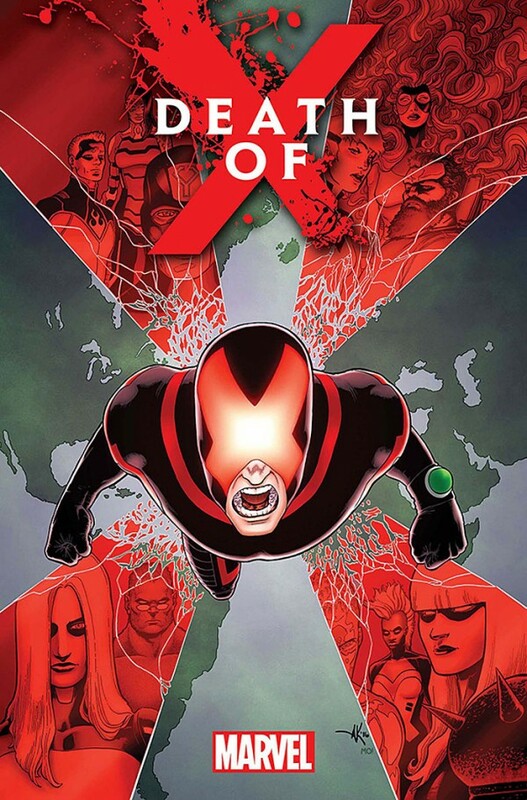 The new book will give readers a low-down on what exactly happened and why Cyclops is now officially “dead”. Death of X will ship as a four-issue miniseries written by Charles Soule and Jeff Lemire (Extraordinary X-Men, Old Man Logan) with Aaron Kuder in tow. Death of X will not only answer how Cyclops died just after Secret Wars but will also answer where in the world Emma Frost in? Oh and what the hell is the M-Pox and who released the disease that forced Storm and her squad of X-Men to travel to X-Haven in Limbo. All of this and more will be hopefully answered in the four issue series. Best thing is that it will be the precursor for the brewing Inhuman and Mutant war that’s slowly taking shape in the current X-Books and Inhuman books like Uncanny Inhumans and more. Death of X happens in October where we get two issues then two issues in November! Previous story All Out Battle for New One Piece Film Gold TV Spot!